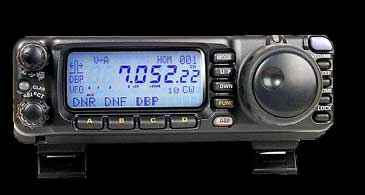 The Yaesu FT100 multimode transceiver providing coverage of all nine HF amateurbands as wel VHF/UHF bands. The FT100 provides 100 watt power output on the 160 to 6 meter bands, 50 watt output on the 2 meter band and 20 watt output on 70 centimeter band. The user and maintenance manual of the FT 100 you can find here.